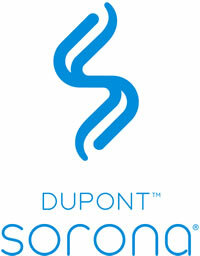 Ever since the early 1900s, DuPont has been revolutionizing the world of fiber and polymers. As a product that’s on the forefront of the shift from oil-based materials to bio-based ones, Sorona® fits perfectly into a legacy of meaningful, performance-based innovation. Sorona® is a breakthrough bio-based, high-performance polymer offering unique benefits for both the apparel and carpet industries. Sorona® contains 37% annual renewable plant-based ingredients, showcasing its innovation in textiles and environmental impact benefits. By using Sorona®, carpet and apparel manufacturers can help minimize their impact on the environment without sacrificing quality and performance. What Are the Overall Benefits of Sorona®? Sorona® combines function, performance and eco-efficiency to deliver superior performance benefits. 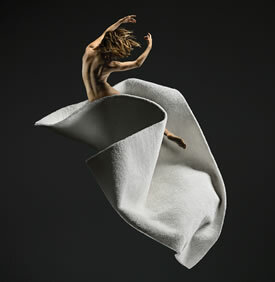 Fabrics that use Sorona® are exceptionally soft, extremely versatile and supremely durable. What Are the Benefits of Sorona® for Apparel? What are the Benefits of Sorona® for Carpet? What Are the Environmental Benefits of Producing Sorona®? Sorona® contains 37% annually renewable plant-based ingredients, showcasing its innovation in textiles and environmental impact benefits. By using Sorona®, carpet and apparel manufacturers can help minimize their impact on the environment without sacrificing quality and performance. What Is the Value of Sorona® Across the Supply Chain? Sorona® provides environmental efficiency benefits throughout the value chain, By using Sorona®, yarn spinners offer their customers an innovative and differentiated product, and mills can produce and promote their best material to their brand partners. Downstream, retailers and consumers are becoming more eco-conscious, and Sorona® provides an environmentally friendly option with exceptional performance characteristics. Lower temperatures needed for Sorona® fiber extrusion, compared to other synthetic fibers. Watch our Discover the Feeling video.